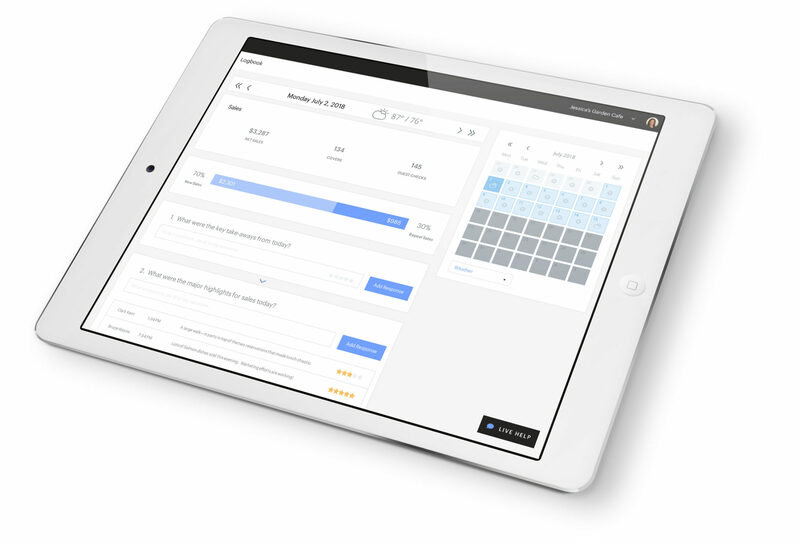 Upserve HQ provides a complete suite of Restaurant Management Software solutions for restaurant owners and managers who don’t want to spend their day digging through spreadsheets. We analyze your restaurant’s data so that you can focus on what you do best—delivering exceptional hospitality. Questions? Call or text us at (855) 664-3887. Late nights, long days, tight margins... what you don’t have is free time to dive into complicated reports. 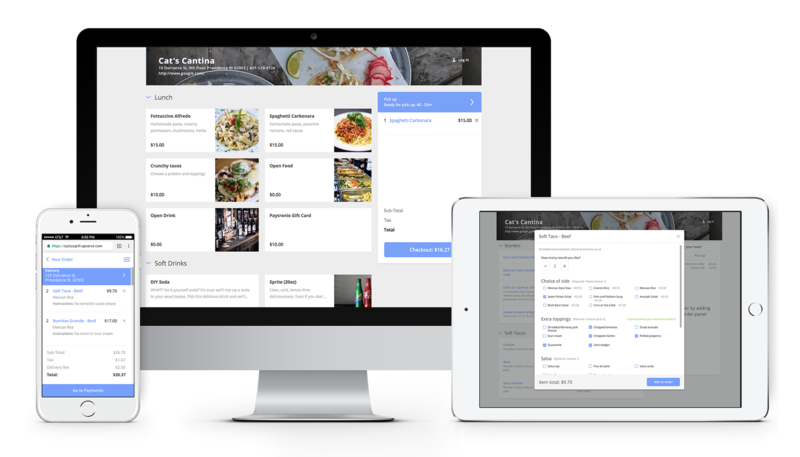 Upserve HQ is the restaurant management platform that connects the dots between your restaurant’s systems – point of sale, payments and more – into easily digestible insights. Use restaurant analytics to quickly spot new opportunities to improve staff performance, predict which dish is going to be hot, find your VIPs, the list goes on. What makes your customers keep coming back for more? By creating a unique guest profile for everyone who pays with a credit card, it’s easy to find the answer to this question. Guest Book collects useful data on each guest so that you can build deeper relationships every time they come into your restaurant. Servers can add notes and management can tag and segment guests into customized lists for targeted marketing campaign. Looking at raw spreadsheets in your POS is enough to put even the most mathematically-minded person to sleep. Luckily, when you work with Upserve HQ, your days of trying to run through the numbers on your own are over. Daily Digest shows you what happened in your restaurant during the previous day, first thing in the morning, via email. 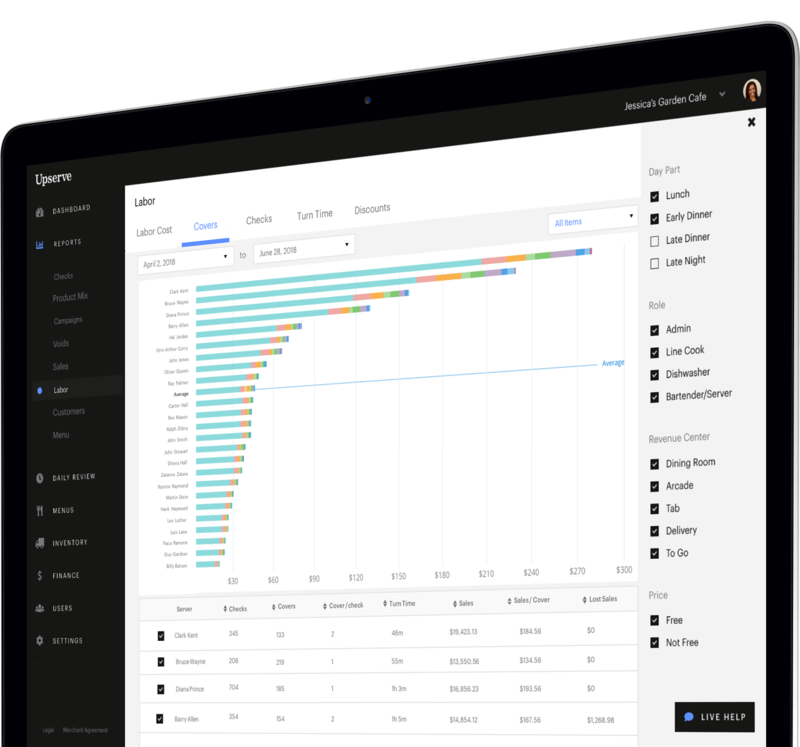 Raw data is translated into understandable insights—alongside qualitative feedback from servers. "Upserve has helped me to run my business in that I can watch trends… On a general scale it’s fantastic. As an owner I wear so many hats...so to be able to just have it all in one spot for myself that’s awesome." Many restaurants rely on multiple third-party online ordering systems which add hefty labor, hardware and commission costs that eat way at their bottom line. Upserve Online Ordering is integrated with the Upserve Platform, so you avoid the costly hassles associated with having multiple ordering systems. What happened last night? The quantitative data doesn’t mean as much without your floor staff’s qualitative insights. 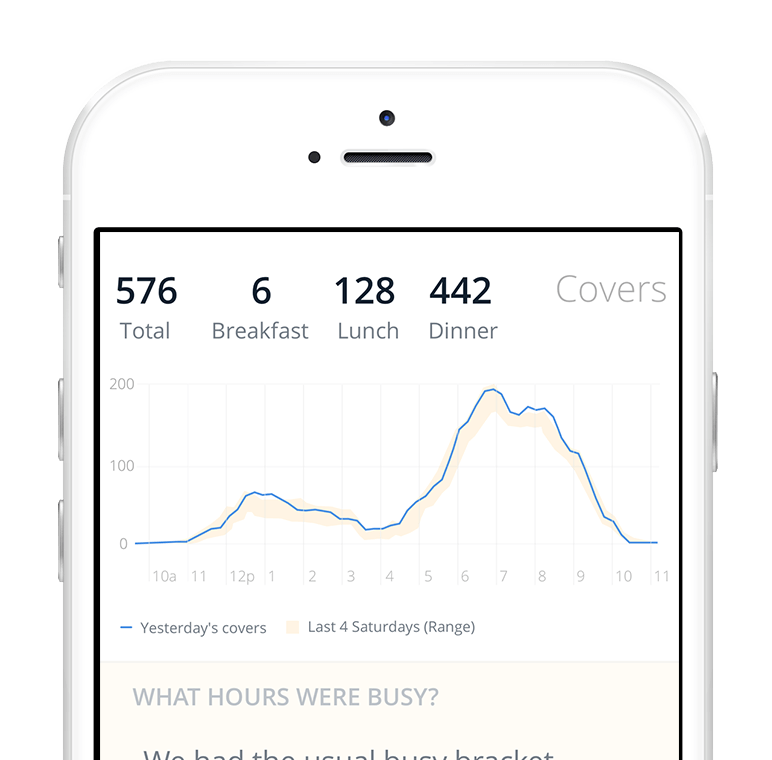 Upserve HQ’s Logbook feature makes it easy and fun for staff to add their own two-cents from the day’s shift. You customize the questions and checklists to suit your restaurant’s unique operations. Break down specific menu items at-a-glance in terms of “One-Hit Wonders”, “Greatest Hits”, “Underperformers”, and “Hidden Gems”. Empowered with this data, adjust your menu to feature your best dishes—and train servers to upsell other big contributors to your restaurant’s profit margin. "For us moving to Upserve was effectively a no-brainer because fiscally it was on par with what we were doing before. And we had all those wonderful sweep of analytics that goes along with it, so on that part it was an easy decision to make." 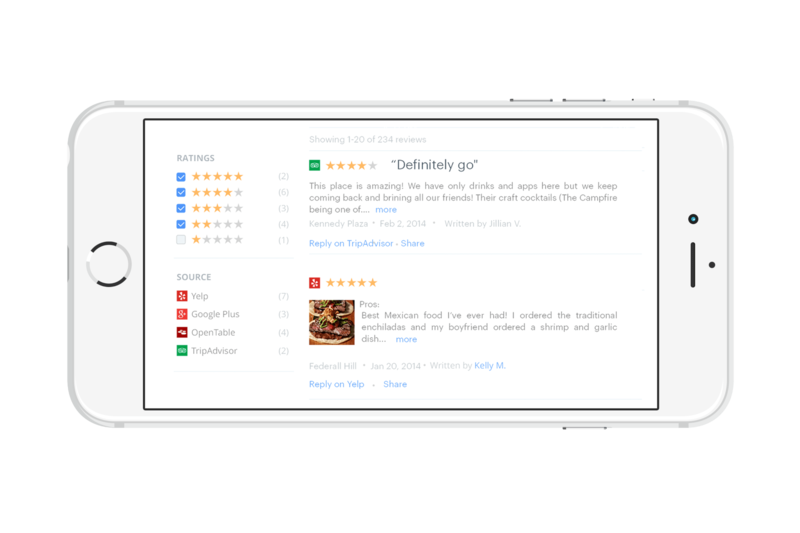 Online reviews can make or break a modern restaurant. To save you the grunt work of manually checking each review site each day, we gather all of your online reviews in one place with our Reputation feature. 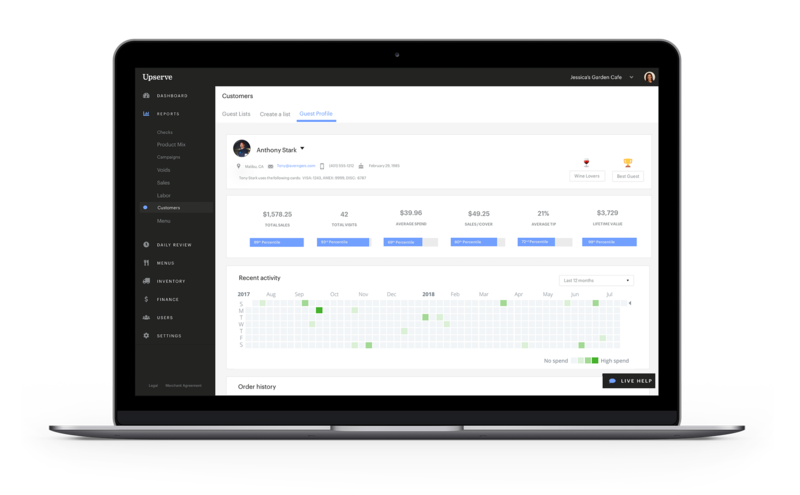 Within your dashboard, you can click through to respond if necessary—and even track local competitors to find possible opportunities to surprise and delight guests. Diagnosing a restaurant problem is often a matter of digging into the data. By using a POS system with interconnected reporting features, you’ll spend minutes—not hours—getting to the bottom of things. 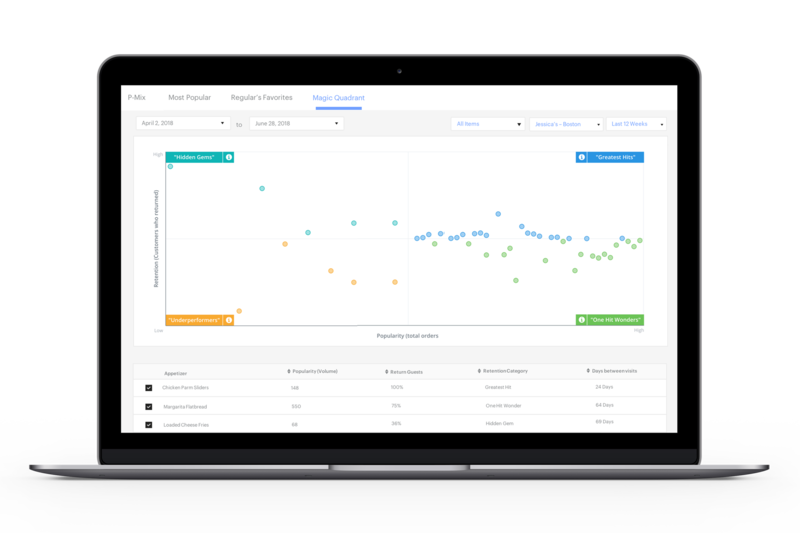 Use Upserve HQ’s Server Performance reports to uncover situations where further staff training might be necessary—or to reward top performers (and staff your most demanding shifts, accordingly). How can you get better if you don’t know what’s working—or not? 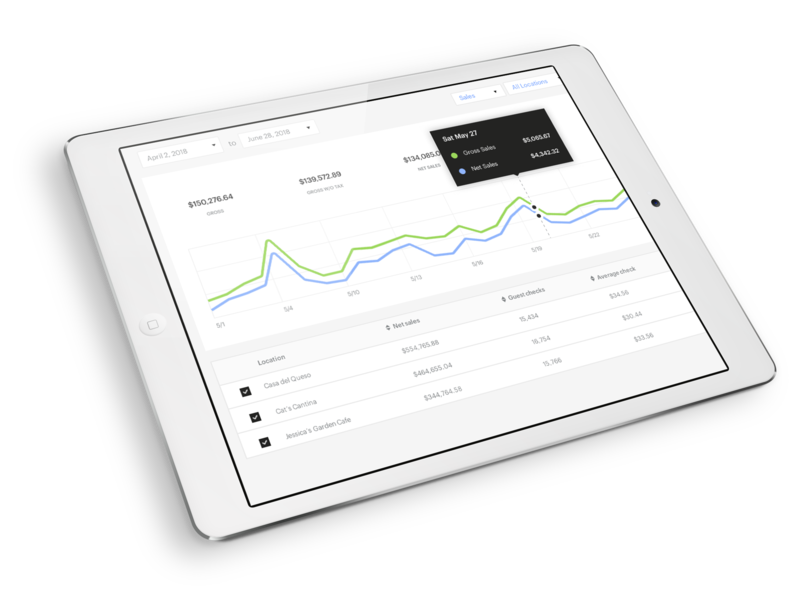 Upserve HQ’s Sales Analytics feature makes it easy to understand restaurant sales trends over days, weeks, or even years. 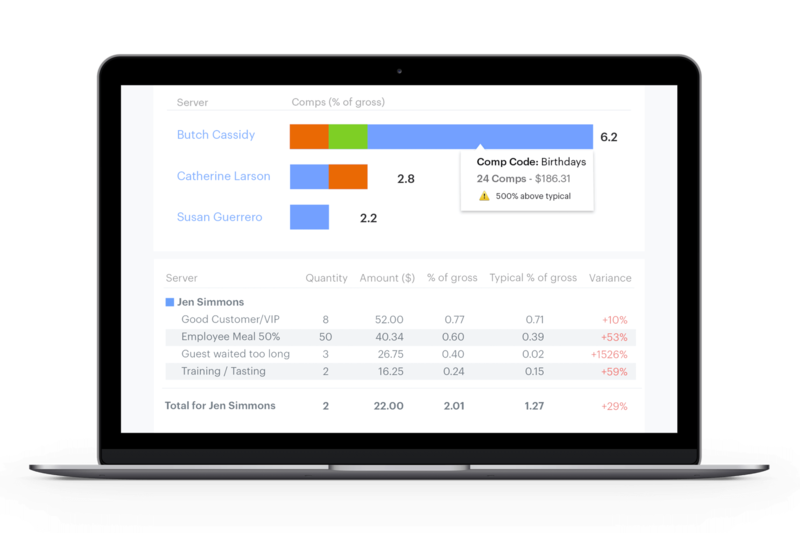 Empowered with the actual data behind your restaurant operations, you’ll more easily make business decisions regarding staffing, locations management, as well as understand which menu items are bringing people back in for more. Discounts, voids, and comps are unavoidable in the hospitality industry—but giving away excessive amounts of food and drink can really hurt margin and bottom-line impact. Our Discounts & Voids reporting feature can provide context so that you can quickly get to the bottom of a trend. Is there something wrong with a particular menu item? Or perhaps a server who’s being a little too generous with his friends? Find out by digging into our user-friendly Discounts & Voids reporting tool. Most customer loyalty programs are a hassle to use, so it’s a struggle to keep your guests engaged. Ditch the expensive smartphone apps and punch cards, to make it easy for your guests to sign up and stay engaged. 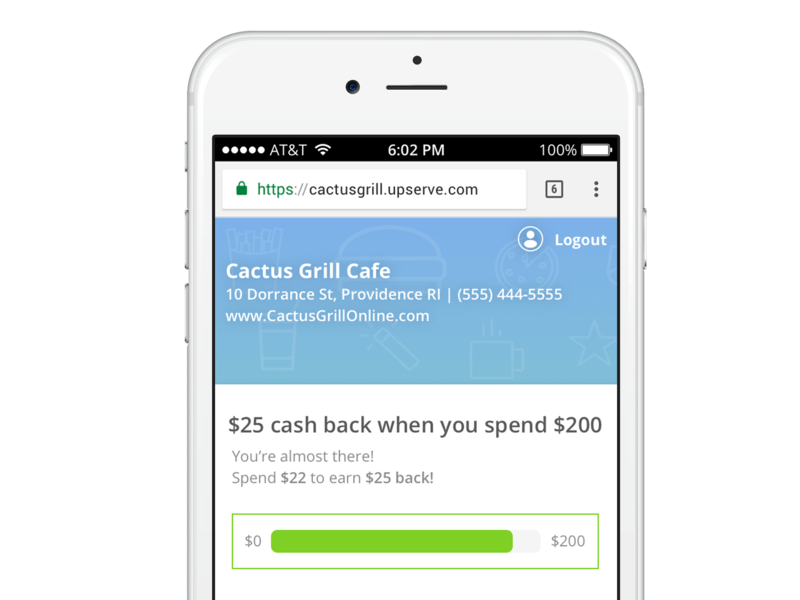 Upserve HQ’s Loyalty feature prompts guests to sign up by linking to their payment credit card. From there, rewards and discounts are applied automatically—there’s nothing else that your staff has to do! Upserve HQ works best when used as a complete, interconnected platform. Whether you’re interested in server performance, menu intelligence, or higher level sales analytics, each piece of the puzzle works together to paint the story of your restaurant’s success—and what can be improved. Guess what? For all the useful data analytics we can provide to your restaurant, we’re actually more affordable than the standard POS! Factoring in all costs, the three-year cost of ownership for Upserve’s cloud-based Restaurant POS system is 48-51% less expensive than a legacy on-premise solution. We lay out all of the costs you will encounter when buying a POS system. And the savings don’t stop at the POS purchase. The savings associated with using Upserve HQ span from hardware to software, implementation and support to training and even payments. Download the complete Cloud POS Cost of Ownership report to discuss with your team.